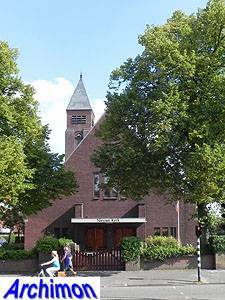 Although theirs was the dominant religious denomination in Amersfoort for centuries, the reformed (hervormden) had only one church until 1924; the medieval St. Joris in the centre. 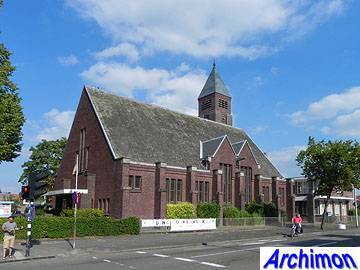 When the city expanded with the southern Leusderkwartier neighbourhood a second church was needed, aptly called Nieuwe Kerk ('new church'). 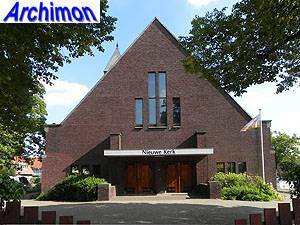 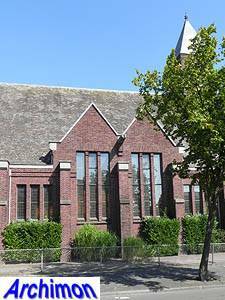 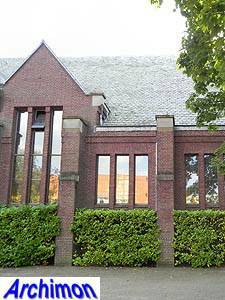 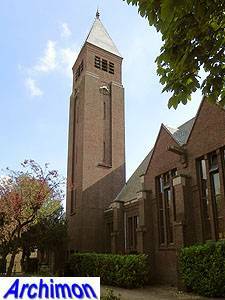 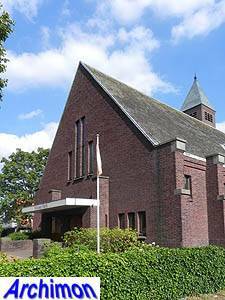 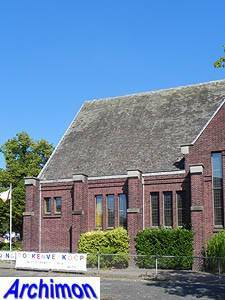 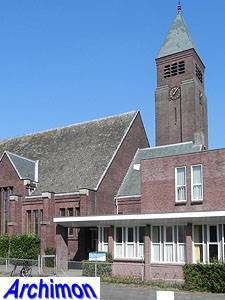 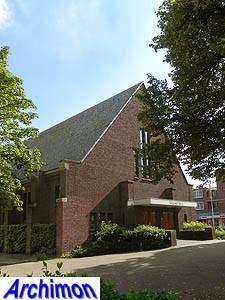 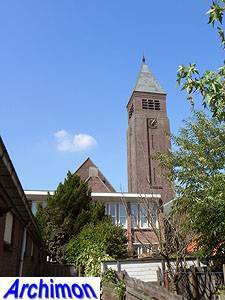 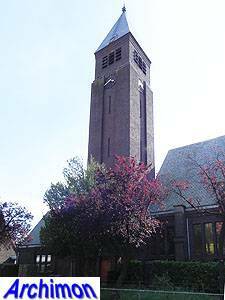 The church was designed by G. van Hoogevest and is an aisleless building in moderate Expressionist style. 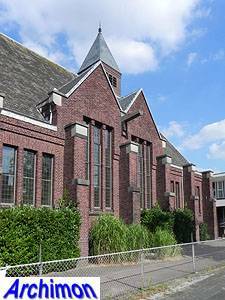 It has a wide aisle, covered with a wooden roof. 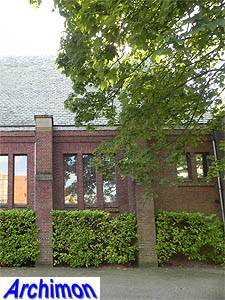 A remarkable feature are the two higher traves which provide some extra light through their taller windows. 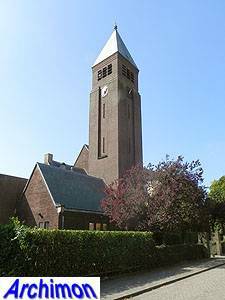 At the back is a straight 'choir' with a tower next to it.